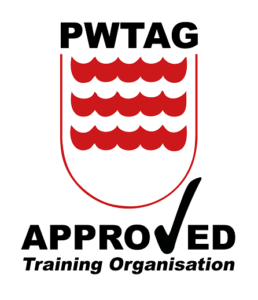 The Institute of Swimming has become a PWTAG (Pool Water Treatment Advisory Group) Approved Training Organisation for their Swimming Pool Technical Operator training. PWTAG is an independent, membership organisation working on raising standards in the quality and treatment of swimming pool water. Their guidelines are widely viewed as the best practice, with organisations such as the Health and Safety Executive considering them as the standard to be achieved in effectively managed swimming pools. “This is a great achievement for the Institute of Swimming and PWTAG is delighted to welcome them in providing swimming pool technical operator training that meets with the PWTAG standards. This will help to ensure safer pools and healthy swimming. There have been successful prosecutions under health and safety legislation where PWTAG guidelines have not been followed. As well as safeguarding the public, using a PWTAG Approved Training Organisation protects your reputation and could be vital should you ever be held to account. “We are proud to be working with PWTAG to raise the standard of pool water treatment. For further details on our PWTAG Approved technical pool operator training please contact poolplant@swimming.org.